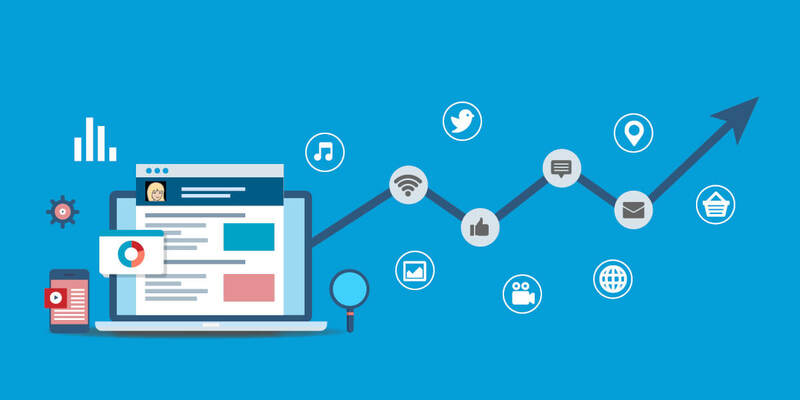 Social media has become the place for businesses to tap into the “voice of the consumer.” With almost 30% of millennials revealing that they now engage with a brand on social media at least once a month, there’s a tremendous opportunity for marketers to implement targeted marketing strategies by leveraging social media analytics. For marketers, the opportunities to grow their business through social channels are endless. Social media platforms like Twitter, Facebook, Google+, Pinterest and Instagram contain a wealth of consumer data which can help marketers figure out how they react and engage with brands. Tracking and analyzing this data can help businesses to chart out effective marketing strategies. Let’s have a look at some of the best ways through which a business can utilize social media analytics to help shape its digital marketing strategy. A sentiment analysis – the process of tapping into user-generated data to determine if the sentiment towards something is positive, negative, or neutral – can help marketers understand customer preferences and attitudes almost instantly. By performing a sentiment analysis on social media data, marketers can gain targeted customer insights to help them curate more effective campaigns and strategies. For instance, marketers can determine the sentiment towards a trending topic to craft their campaigns accordingly. Staying abreast with what the closest competitors are doing in the social media space, is also a critical part of the marketing strategy. This can help marketers to be more aware of the how other brands respond to fresh trends and ideas within a particular marketing domain. In order to benchmark a marketing strategy against the ones undertaken by the competitors, marketers need to analyze social media metrics and determine what content or strategy resonates best with the audience. For instance, marketers can leverage media monitoring tools, such as Onsense, to evaluate the type of content that gets the most shares and the audience sharing it the most. This form of analysis helps a business to better understand what is working for the competitors, in what areas and why. Social media has long served as a hotbed for digital influencers who owe their popularity to millions of social followers. As consumers are naturally inclined to believe real people over brands, this new generation of influencers has become even more critical in the marketing space with their ability to persuade a growing audience with their opinion. Social channels like Instagram and Facebook still reign as the ideal option for marketers looking to invest in influencer marketing. The challenge that they face, however, is to quantify the ROI and success of a campaign undertaken through such platforms. As a retort, businesses can consider leveraging social media analytics to explore how social influencers rank in such mediums or who are the ones that are best suited for the brand image. Moreover, analytics can also help marketers understand the audience outreach, posting frequency and social popularity of influencers with more insights on their followers and social authority. Being at the heart of any successful social media strategy, social media analytics helps a brand to track, quantify and enhance the interactions that it makes with its consumers. It’s that ultimate weapon in a marketer’s inventory that has the potential to enhance bottom-line when used correctly. If you’re looking to create data-driven marketing strategies without the in-house technical investment, we can help. Netscribes offers a full host of social media marketing services, including listening, analytics, strategy, and content. To request a consultation, reach out to us here.